Since 2006, high net worth retirees, families, companies and other affluent investors interested in preserving their wealth while generating income have been turning to MacMillan Executive Wealth Management Group for investment advice. Leveraging our deep insight and decades of experience, we help clients with investable assets of at least $2 million craft customized multigenerational portfolios based on their investment objectives and risk tolerance. With our emphasis on income investing and our particular expertise in bond strategies, we can help conservative clients and their families benefit from a steady stream of tax-efficient dividend and interest payments through fluctuating market cycles. We work hard to align your portfolio with your financial goals. Led by Bill MacMillan, Senior Vice President and Investment Advisor with more than 30 years of experience in the equity and bonds markets, we strive to develop portfolios that help investors preserve their wealth. Dividends and interest are our major focus. Markets go up and markets go down, with long dry spells for both stock and bond prices. We focus on dividend-paying equities and high-quality government and corporate bonds, and apply laddering strategies to those bonds, paying keen attention to maturity dates to help us maximize yields. Even when the markets weren’t doing well, our clients received dividends – it’s like the companies we invested in payed us rent while we waited for capital appreciation. Regular cash payments year in and year out can help compensate for weak stock market performance and low bond yields. This strategy simply makes sense for conservative investors who want to help preserve their wealth so they can leave a legacy, while avoiding big swings in the value of their portfolio. We favour an active approach to portfolio construction and are constantly identifying new opportunities to improve returns. Portfolios are diversified globally and across all asset classes and typically include a mix of both international and domestic securities consisting of equities, funds and bonds. Your needs and preferences will help determine the most appropriate type of account for you. You can invest on a discretionary basis, where you entrust your investment decisions to our team, or a non-discretionary basis, where you take the reins and we call you for approval of each buy or sell in your account. The TD Premier Managed Portfolio Program is a separately-managed discretionary account that provides our clients with access to 20 world-class investment managers and over 60 investment strategies, covering a wide array of asset classes and investment styles. It frees you to focus on your priorities while your investments are managed by a team of top money managers. The TD Cornerstone Program is a full-service brokerage, non-discretionary, fee-for-service solution. As opposed to transactional accounts, where each transaction is paid for individually, with this fee-based account, you only pay an amount based on your fee-eligible assets. Cornerstone clients can benefit from the combination of full-service investment advice and wealth planning, the ability to approve every trade, and fee transparency and predictability. Our team is also committed to helping you prepare for life’s contingencies by offering access to a full range of wealth planning services through TD specialists. From tax and estate planning, to insurance, to business succession planning strategies, we help provide the direction and support you require to anticipate and help meet your family’s future needs. We will also work with your older and younger family members to help ensure that we provide multigenerational strategies. 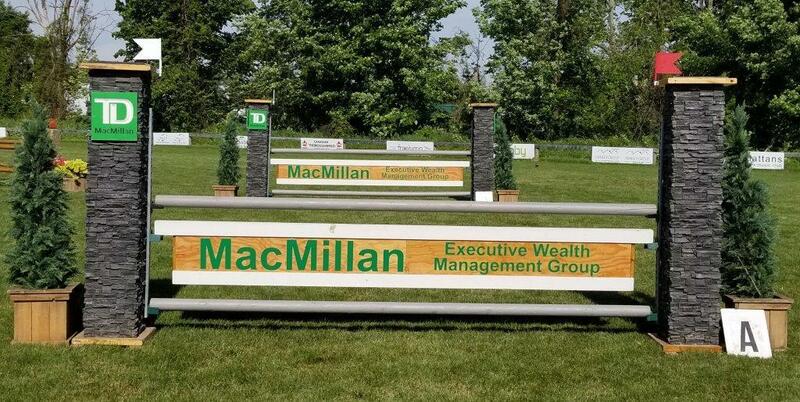 MacMillan Executive Wealth Management Group is a part of TD Wealth Private Investment Advice, a division of TD Waterhouse Canada Inc., which is a subsidiary of The Toronto-Dominion Bank. Bill has worked in the financial services industry for more than 30 years. 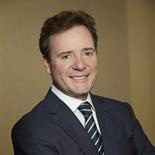 He began his career with Scotia Capital Markets as a foreign exchange trader in 1985 and later moved to Credit Suisse First Boston as a Canadian Bond Trader working in two of the world’s largest financial centres: London and New York. He joined Burns Fry in 1992 (prior to the merger with Nesbitt Thomson) as the Canadian Long Bond Trader. In 1995, Bill began advising CIBC’s high net worth clients in all areas of personal wealth management and retirement planning strategies. He joined TD Wealth Private Investment Advice in 2006 where clients can leverage his years of experience and expertise in fixed income, equity and currency markets. Bill is a recipient of TD Bank Group’s most prestigious award – Vision in Action1. He has twice received the TD Merit Award2 and has been a member of the division’s President’s Club3 for the past nine years. Bill has also served on the National Advisory Council. Educated at the University of Toronto, Bill holds a Bachelor of Arts (Economics Specialist) from Trinity College. He went on to earn an MA in International Economics and Finance from the London School of Economics. Bill has continued to develop his investment expertise over the years by achieving the Certified Investment Manager (CIM®) designation and is currently working towards his Portfolio Manager certification. He also holds a Certificate in Retirement Strategy. Away from the office, Bill’s personal passion is participating in equestrian competitions with his Dutch Warmblood. He and his wife Joanne support many riding events, in particular at the Royal Agricultural Winter Fair, as well as their daughter Molly and other young riders in derby hunter championships throughout the summer. 1TD Vision in Action Award of Distinction recognizes top contributors inside the bank and is only bestowed upon approximately 1 in 1000 employees. 2The TD Merit Award recognizes our top 60 Investment Advisors whose exceptional achievements enhance our clients’ experiences through Motivation, Excellence, Results, Integrity and Teamwork throughout the year. 3President’s Club is awarded for meeting or exceeding business financial goals as well as maintaining a high level of professional business conduct throughout the year and consistently demonstrating integrity and the highest ethical standards. Tal is an industry professional with almost 20 years of experience with TD. He has worked with MacMillan Executive Wealth Management since 2008 where his primary role is acting as Bill’s right hand in portfolio construction and client service. He communicates directly with clients to help address their investment needs, including trading, wealth planning and administrative requests, and also assists with portfolio analysis, research, the development of customized wealth plans, estate planning strategies and performance reporting. Tal earned a Bachelor of Business Administration in Finance from the Schulich School of Business at York University in 1999. He holds the Chartered Investment Manager (CIM®) designation and is a Life Insurance Advisor with TD Wealth Insurance Services. Tal is also licensed to trade options. Ayodele joined TD in 2016 and has been working with MacMillan Executive Wealth Management Group since 2018. He is responsible for assisting with opening accounts, transfers, transaction reports, preparing annual reviews and other administrative tasks. Ayodele earned a Bachelor of Arts in International Politics with electives in Finance from York University. He has completed the Canadian Securities Course (CSC) and the Conduct and Practices Handbook Course (CPH) with the Canadian Securities Institute and is working toward obtaining the Chartered Investment Manager (CIM®) designation. In his free time, Ayodele socializes with family and friends, and enjoys exercising and watching sports (he’s a big Toronto Raptors fan! ).